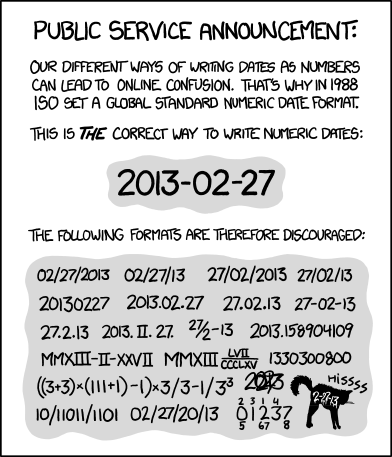 ISO 8601 was published in 1988. It seems abundantly obvious, yet I am still annoyed repeatedly by files named with whatever pet format the creator likes. Damn it! Name it MyProject-2013-03-08.tar.gz, already!